If you need some quick fixes to transform your home over the weekend, here’s what you should know. If your living room isn’t as big as you would have liked, then use the simple color trick. Paint your walls a soft, light color. This will dramatically make your space feel more open, resulting in it looking bigger than it actually is. You can also use mirrors that give the same effect in a different way, by reflecting light, giving the room more dimension. If you have a window in the room, you can strategically place the mirror to face opposite it, giving the impression of another window bringing in more natural light. Find more mirror tricks on freshome.com. The same rules will apply if you wanted to make a huge room appear smaller – go for some darker colors on the walls to close the space up. If you’re looking to add more texture and depth to a room – mix it up. Don’t be scared to pair two colors together that are the complete opposite of one another. It’s all about showcasing your personality. This might mean a vintage Grandfather clock, alongside a super modern sofa. Sometimes things look so random and out of place that it just works. Even if it’s something as simple as an intricately patterned rug to go in the center of the floor. You can find items like this on Samad.com. – It’s quirky, unique, and it will make a wonderful feature. Slip covers used to be very popular, but tend to get overlooked now, although they shouldn’t. Covers are brilliant if you want to change the look of a room without barely having to do anything. You can easily change the color of your sofa when you get bored and are looking for something more vibrant in the summertime, and then calmer as fall comes along. They are also really handy because if they get dirty you can just throw them in the wash and they’ll be as good as new – a lot more efficient than trying to remove stains from the sofa itself. Add a touch of nature. Whether it be some exotic plants or some colorful flowers. 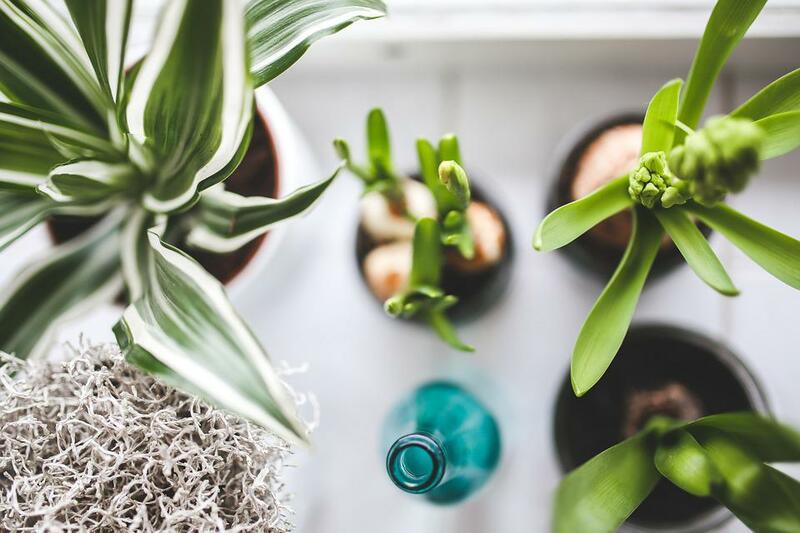 Scatter some greenery around the room if you want to create an earthy vibe. Bamboo works very well for this, especially when paired with a white or lightly colored room. Or if you want to look more playful, add some floral centerpieces with vivid flowers such as lilies, tulips, and roses. Not only will your home smell divine, but it will look it too. Plus, bringing in plants will purify the air as well as balance the humidity. It may sound a little crazy, but it makes sense. If you have some furniture that’s in a room but adds nothing to it, instead of throwing it out – funk it up. Have a look in stores for some awesome looking wallpaper; you can even find some with a 3d effect on it. Then stick it down to the cupboard, table or bookcase, and turn the old thing into an amazing focal point in the room.